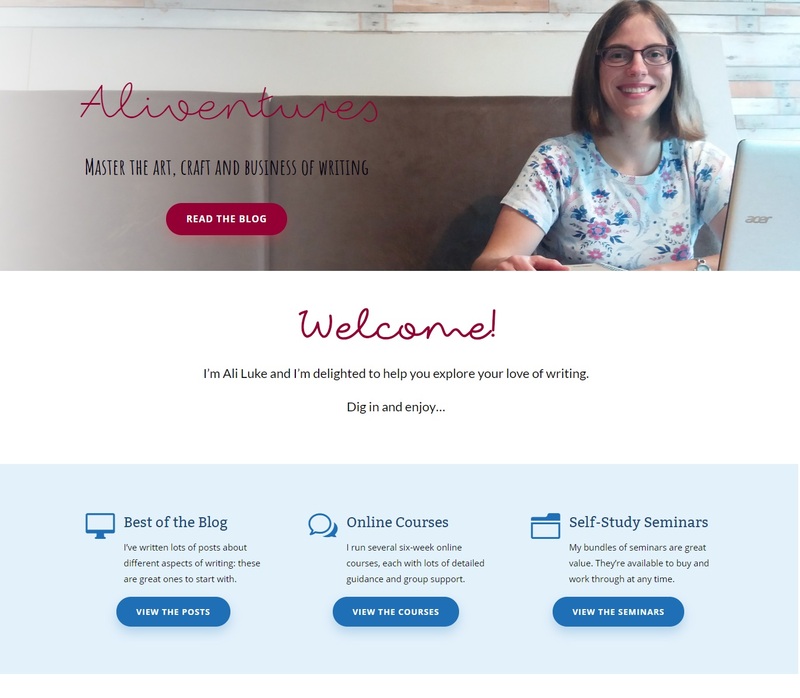 It’s taken me a little longer than I’d hoped … but the new Aliventures is now here! If you’re reading this on the website, rather than in your inbox or RSS reader, you’ll see that things are looking quite different! Apart from the front page of the site, one of the biggest design changes has been to the layout of individual blog posts – which are, of course, at the heart of what I do. I felt that the sidebar and the various sharing links at the top didn’t add much (except clutter!) to your reading experience. So I did away with them! 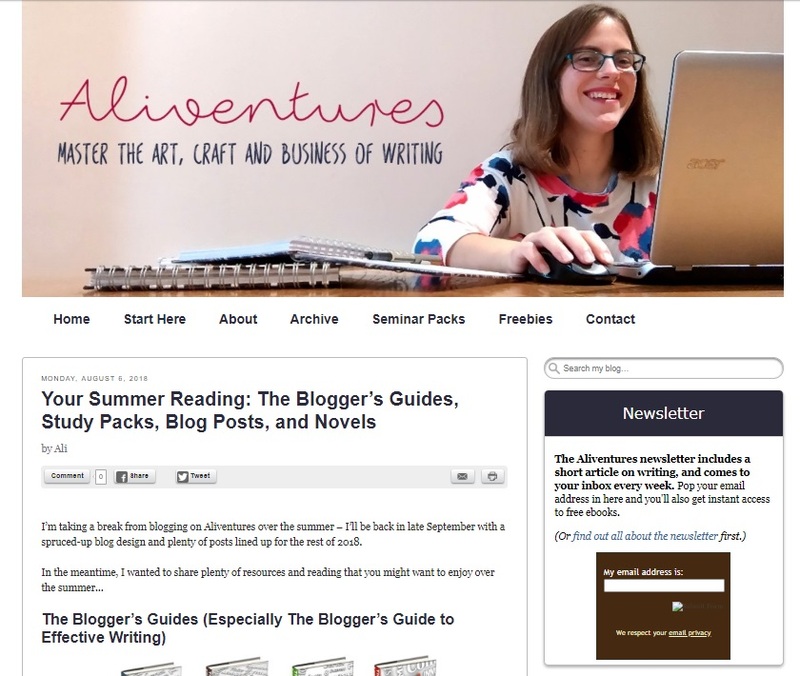 The Aliventures blog will still have a post every Monday. The email newsletter will still come out every Thursday. I’m still running online courses (though more on that in a moment!) and selling the self-study seminar packs and my Blogger’s Guides. 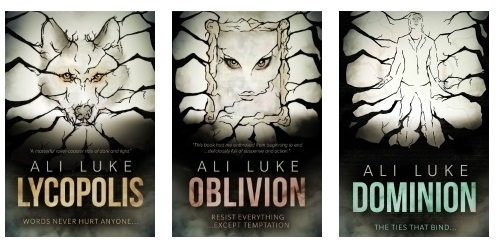 If you’re a newsletter member, you can still download my free mini-ebooks from the secret library (the password is the same as always; you can find it at the bottom of any past newsletter). You can still find me in my usual places on social media: as @aliventures on Twitter, and on the Aliventures page on Facebook. You know how, when you edit one part of a story or book chapter, a dozen other things suddenly need to change too? That’s a bit how this redesign felt! All my online courses are now listed on the Courses page, so they’re easy for you to find. Start Freelancing is currently open for registration (until 12th Oct); with the others, you can see when they’ll next run and join the waiting list for any that you’re interested in. 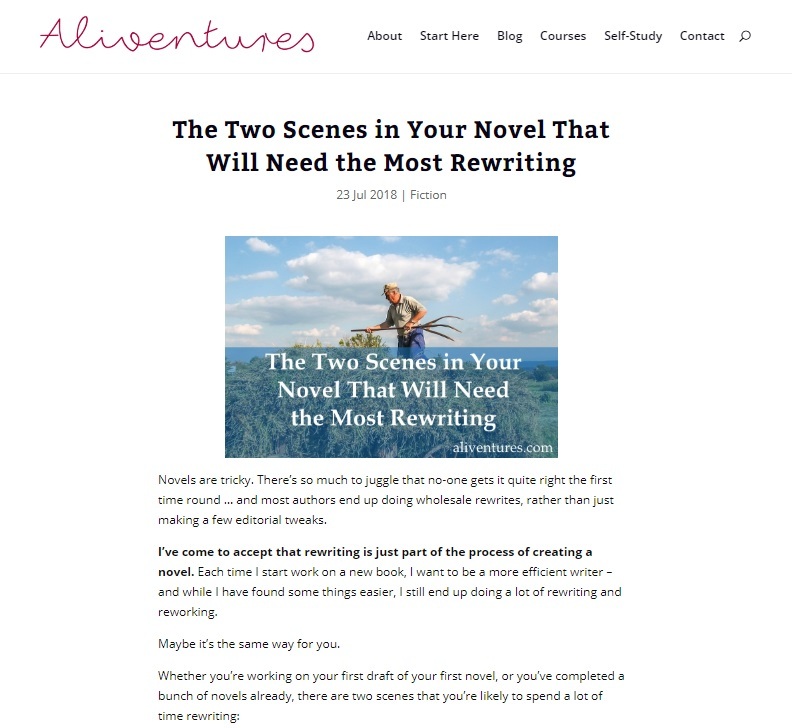 My blog posts now go out by email through the newsletter list, so (a) you don’t have to sign up twice (once for the newsletter, once for blog posts) and (b) I can send you nicely designed blog posts, rather than the automatic feed where most of the formatting is stripped out. The pricing of my ebooks and online courses has changed. During the redesign, I had a rethink about pricing. I wanted to give all my products a round number price (which makes it easier to offer the 35% discount that newsletter members get, and just looks neater). 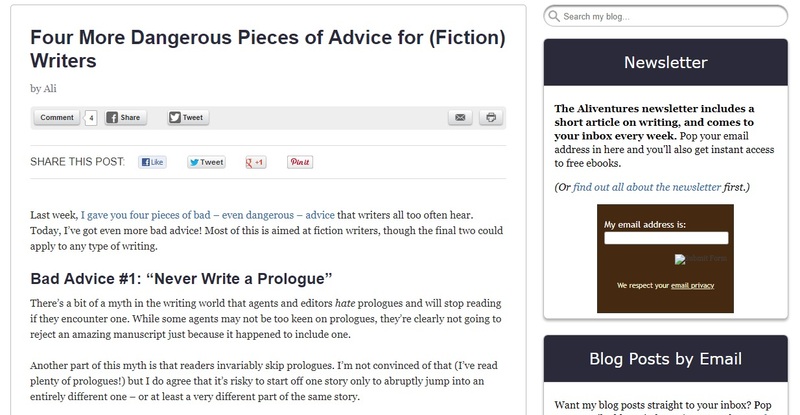 Each Blogger’s Guide is now $25 not $29, and the four-pack of Bloggers’ Guides is $60 not $66. Note that newsletter members still get a 35% discount, making individual Guides $16.25 and the four-pack $39. If you purchased a Blogger’s Guide or the four-pack at full price at any point in the past, I’ll be happy to give you a special $5 discount on any other Guide or seminar pack. Just email me your receipt (or tell me your PayPal email address so I can track down your payment) and I’ll send you a discount code. The self-study seminar packs have only changed very slightly: they are now $20 instead of $19.99. This makes the maths easier on discounts, and brings them into line with my Blogger’s Guides and the online courses. Again, newsletter members get a 35% discount on these, making them $13 each. The biggest change is to the online courses, which are now $60 rather than $39.99. Blog On worked really well in the spring with extra support from me via the Facebook group, and to make that sustainable for all the courses, I need to charge a little more per member. I’ve also rejigged the courses so that they have six weeks of material rather than eight weeks (as eight weeks was proving a bit much for people to manage), but I’ve added a four week support period after each course itself ends – so you get ongoing help and support for ten full weeks now. Now that my youngest is in nursery school, I finally have time to get back to a couple of things that have rather fallen by the wayside over the past five and a half years of having small children! Firstly, I’m going to be posting on other blogs a lot more. 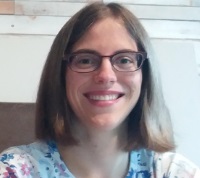 For months now, I’ve been writing occasionally for Craft Your Content and ProBlogger, and regularly for Daily Writing Tips, but I’ll be popping up on a lot more blogs over the next few months. In the weekly newsletter, I’ll send you links to any of my posts elsewhere. Secondly, I’m going to be a lot more active on social media than I have been! 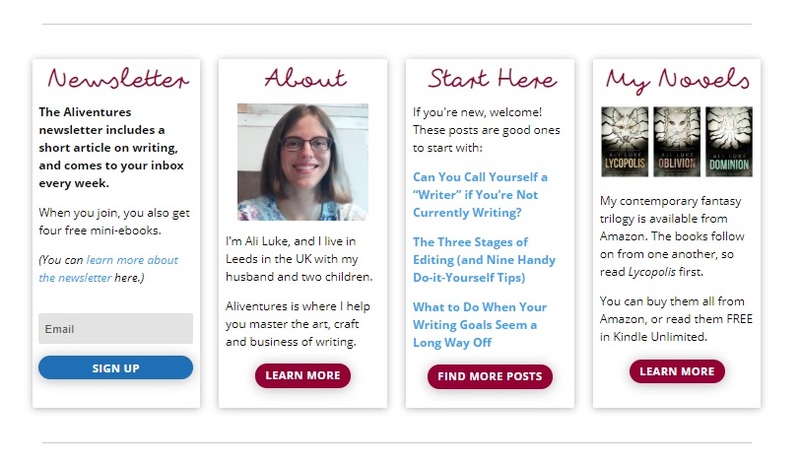 You’ll find me tweeting a few times a day at @aliventures, and I’ll be posting useful links, writing tips, discussion questions (and occasional funny writing memes) on the Aliventures Facebook page. I’d love to connect to you there. 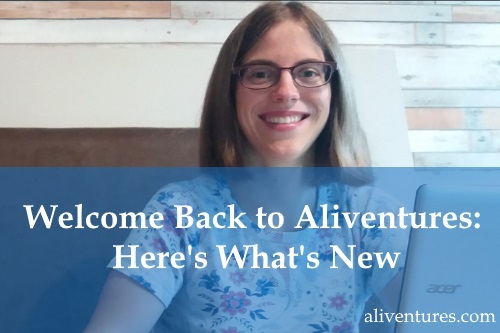 I hope you’ll have a great time exploring the new Aliventures. If you happen across a typo or something that displays weirdly, do let me know (you can email me at ali@aliventures.com, or give the new contact page a try here). Very crisp and fresh. Best of luck to you with this new layout and new pricing. I am a fan of the new design. I am also an avid fan of developing multiple streams of income in our writing and not putting our proverbial eggs all in one basket. As we write (and write regularly), I think we will often find that we become passionate about doing just that, we desire and want to write and try as many new things as possible. Our writing ‘appetite’ grows. Diversification keeps the passion and interest alive and also keeps us moving forward. So I salute your diversification development which can be seen here on your website. As writers I think we have a responsibility to keep growing and trying new things because it gives us more to bring to our audience that we can share with them. We can’t give what we don’t have. I really like your new look website and all the different facets you have to offer your audience. In this digital age we are very blessed to have so many avenues and opportunities open to us as writers. There are literally opportunities everywhere for us to not only get our writing out there but also to learn so much from others.I look forward to popping back from time to time to see how things are going.